Kimberly Crest House and Garden Wedding, wedding kiss. 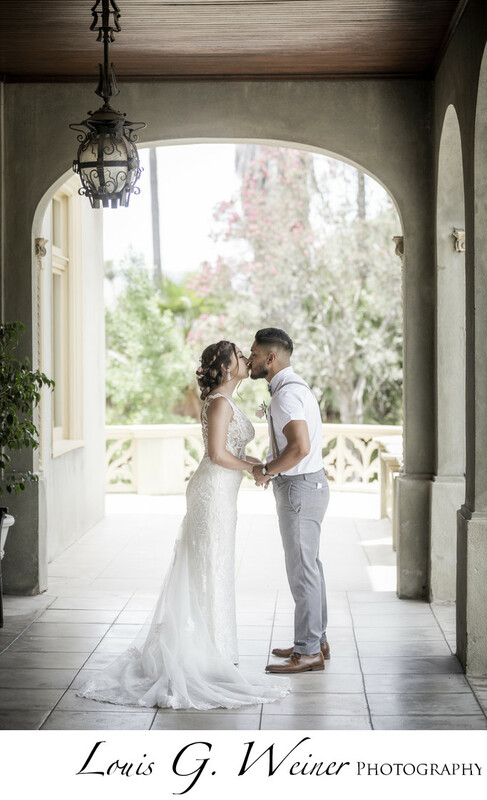 This wonderful intimate wedding at Kimberly Crest, house and garden was elegant and beautiful. This Hispanic/Mexican couple had a wonderful sense of elegance and simplicity. They chose Kimberly crest because it fit their vision. Kimberly crest is a historic home in Redlands California. They only allow a few weddings a year, which keeps the property pristine and the location exclusive. The grounds are large and very well-maintained, the gardeners do a fantastic job. Many of which are local volunteers that love helping take care of this wonderful property. It includes a coy pond, Beautiful staircases, a wonderful house, very old deciduous trees, and large beautiful lawns. It offers so much Beauty and wonderful photographic backgrounds. I would definitely recommend this location for weddings. Location: Kimberly Crest house and garden, 1325 Prospect Drive Redlands, Ca 92373.